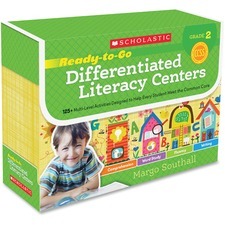 This go-to resource contains a year's worth of differentiated activities for literacy centers, correlated with the Common Core State Standards for reading literature and informational text, writing, speaking and listening, and foundational skills. Engaging task cards with word cards, picture cards and student activity sheets guide students to practice essential skills independently at their own level and pace. The teaching guide includes model mini-lessons to introduce center tasks and routines, assessment ideas, record-keeping forms for tracking and documenting student work and progress, and a streamlined management system - complete with a rotation plan and center and task icons. The accompanying CD contains dozens of reproducible student pages and teacher forms - everything teachers need to launch centers effectively and keep them running smoothly all year long. The sturdy storage box with folders organizes it all for years of use. 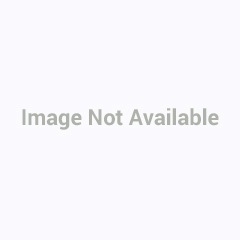 Here Come the 123s is the Grammy award-winning album for Best Children's Album in 2009. Brilliant animations and delightful puppets motivate children to take an imaginative look at numbers. Deluxe two-disc set includes a CD and DVD with 24 songs and 23 music videos. Original songs by They Might Be Giants include Zeroes, One Everything, Number Two, Triops has Three Eyes, Apartment Four and more. 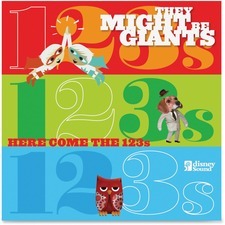 Grammy award winners, They Might Be Giants, offer a creative, fun album for the entire family. Special interactive sequences encourage children to listen to the music and play along to animated segments. Full-length CD features 17 family-friendly songs. Songs include Fibber Island, Four of Two, Robot Parade, Violin, John Lee Supertaster and more. 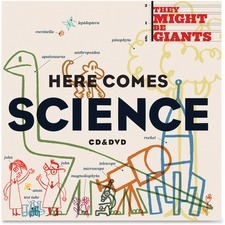 Grammy award winners, They Might Be Giants, provide a fun way for children to learn about science. The legendary rock version of "Why Does the Sun Shine? (The Sun is a Mass of Incandescent Gas)" finally gets a fully realized studio reading, and even its own answer song. Danny Weinkauf contributes "I Am A Paleontologist," which is used in the soundtrack for a national TV campaign. Deluxe two-disc set includes a CD and DVD with 19 songs and videos. Songs include Science is Real, Meet the Elements, The Bloodmobile, How Many Planets?, Photosynthesis and more. This timeless album features witty, hilarious and cheeky lyrics set to some of the greatest masterpieces of classical music. Entertaining songs offer a creative way to introduce children to "serious music" in a way that's fun and compelling. At the end of the vocal renditions, each piece is performed without the words by a world-class orchestra, just as it was originally written. An included liner booklet contains classical music trivia questions and activities for students, parents and teachers. 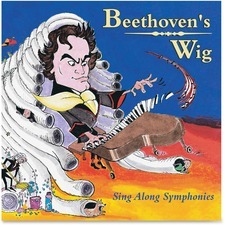 Songs include Can You Can Can?, Please Don't Play Your Violin at Night, Just for Elise, Harmony, Beethoven's Wig and more. 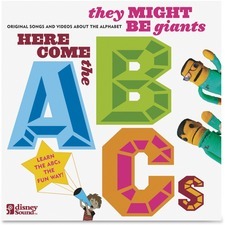 Grammy award winners, They Might Be Giants, help children learn the alphabet the fun way. This CD/DVD set features more than 50 minutes of music and more than 50 minutes of video animations, wonderful puppets and live performances. Ultra-vivid, highly entertaining melodies are child-tested and parent-approved. Set includes Here come the ABCs, Alphabet of Nations, E Eats Everything, Flying V, Q U, Fake-Believe and more.